Mickey’s Not-So-Scary Halloween Party is a boo bash not to be missed! Family-friendly tricks, treats, and surprises await guests during the Halloween season at Walt Disney World Resort. This “spooky” party lasts from 7:00pm to midnight on 23 very special evenings! The base price (day of event) for adults is $64.95 ($69.18 with tax) and $59.95 ($63.85 with tax) for children. The advance price for adults is $55.95 ($59.59 with tax) and $50.95 ($54.27 with tax) for children. The discounted ticket price for Disney Vacation Club (DVC) Members and Passholders is $52.95 ($56.40 with tax) and $47.95 ($51.07 with tax) for children. DVC Members may purchase tickets for up to 5 guests and Passholders may purchase tickets for up to 3 guests. There are no discounts on October 5, 12, 26, 28, 30 or 31. Prices for October 28, 30 and 31 are $69.95 ($74.50 with tax) and $64.95 ($69.18 with tax) for children. There are no discounts on these nights. 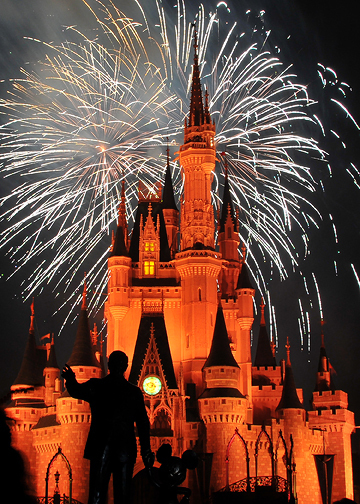 Returning in 2012 are the “Boo to You Parade” (at 8:15pm and 10:30pm) and “Hallowishes”, a special, spooky fireworks show (at 9:30pm). There will be trick or treating throughout the park and the characters will be dressed in their favorite Halloween costumes. Now, don’t be afraid. 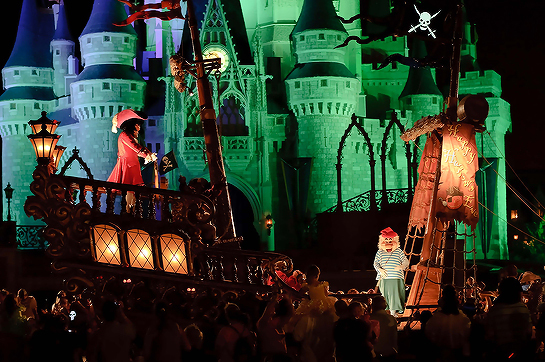 The screams you hear are squeals of delight, not fright – so, head to the Magic Kingdom for a hauntingly good night!